Choosing your bespoke window blinds is an exciting time and sometimes, the technicalities are often overlooked. 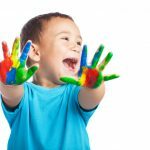 Children are naturally curious and as they get older and are a lot more mobile, they are guaranteed to find all things weird and wonderful to get their hands on around the house. At Brixham blinds, we understand this and appreciate the importance of child safety when it comes to your bespoke window blinds and we want to help you keep your home safe and secure. We have a range of blinds that have a cord-free mechanism or come with a safety device in line with the latest European regulations. 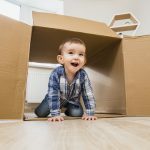 There are a few quick fixes in and amongst your home that you can be sure to maximise child safety. The first point of call would be to replace window treatments with cordless blinds, blinds with inaccessible cords or shutters wherever possible. By fitting bespoke INTU blinds, you can ensure child safety and eliminate the need for cords or pullies. You can even avoid holes and screws so you can easily change them should you feel the need when your children are a little older. A top tip: Your child doesn’t just spend time at home. Be sure to check over other places where your child spends time, such as grandparent’s house, child care locations, schools and other frequently used social places. 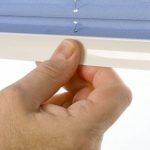 You don’t necessarily have to replace your blinds and if this is something you really can’t do, there are other fixes that can be put into place. We live in a world that is designed by adults and often child safety is an afterthought. 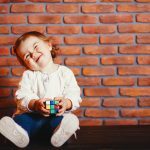 As children get older, their ability to move, climb and grab makes furniture and blind cords and strings a very intriguing thing. We advise you to move all the furniture or items that children can climb on away from window blinds and ledges. If you choose to have blinds with cords and ties, make sure they do not tie themselves up into knots as this can cause accidents. We would always recommend to try and have these at a height that is unreachable for children. When you are dealing with a member of our team, we will take care of answering any questions you may have. We can provide you with the right advice for any of your blind fixtures. 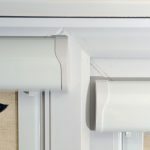 To choose your blinds with child safety in mind, contact us today.